With 3 windows to the flames the Carbel A-85 Plus insert stove lets you see the flames from many sides. A 3-sided insert can create a bold look and feel whether you install the stove into a column of the same width and depth as the stove or choose to install it into a wider column with a log storage alcove incorporated. 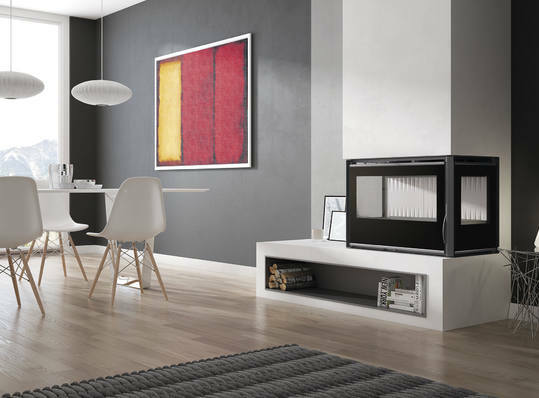 The Carbel A-85 Plus is also available as a 2-windowed version and as the side panels of the stove are interchangeable whether it has a left-hand or right-hand window is up to you.